Whether jerky, dried apple or mango is your snack of choice, then using an electric food dehydrator is the easiest way to ensure that you have your own low-cost supply for whenever you want them. The food dehydrator has started to replace oven drying, as it not only uses a lot less energy but keeps the kitchen a lot cooler. There are different dehydrators available, some are ideal for family size snacking while others are more compact and suitable for occasional or low quantity dehydrating. Some have constant temperature settings while others allow you to alter temperatures. To help you to choose the best food dehydrator this article not only offers the lowdown on some the bestselling dehydrators available but also how you can use them in the home for easy dried foods. The NESCO FD-75A Snackmaster Pro food dehydrator is our best pick for its lower power consumption, wide temperature range and its five BPA-free drying trays. 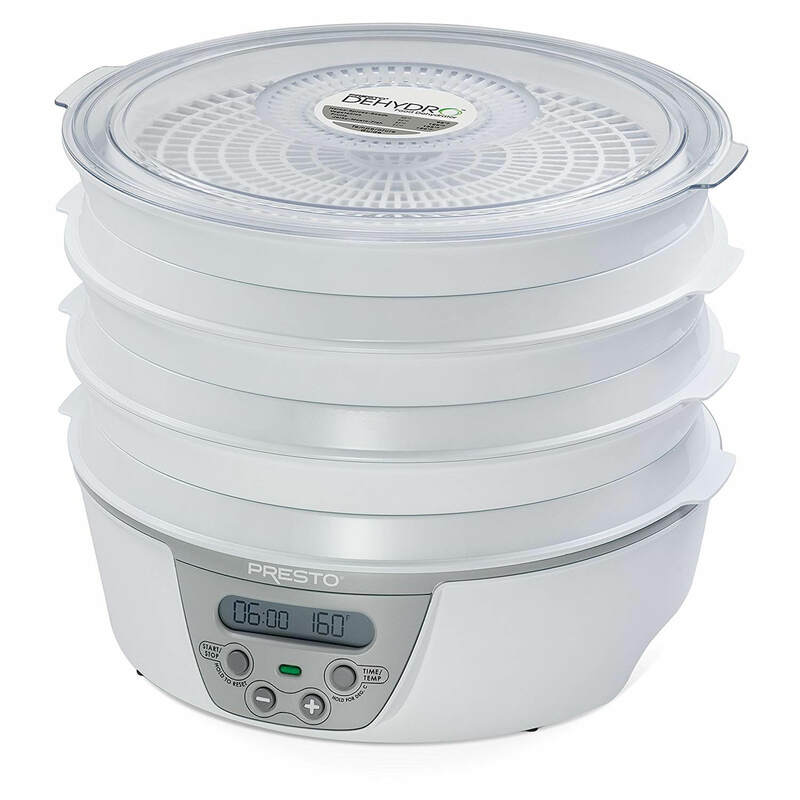 The Presto 06300 Dehydro food dehydrator with its four dishwasher safe trays is our budget pick as it is also ideal for more compact countertops. BPA-free five tray dehydrator that you can buy extra trays for and extend up to 12. The gray NESCO FD-75A Snackmaster Pro food dehydrator is a 600 watts dehydrator with a powerful top-mount fan. It has a temperature range of between 95°F and 160°F and its thermostat is adjustable. Its drying system forces air down its exterior pressurized chamber and then across each tray, rather than moving through the trays and causing flavors to mix. Its exterior also helps block light that can destroy the nutritional content of dehydrating food. The FD-75A is made in the US and comes with a recipe and instruction book and five trays. You can also buy extra trays from the manufacturer to extend it to 12 trays. It comes with two fruit roll sheets for drying semi-liquids, two flexible screens for drying small items and three packets of jerky spice. It has a one year warranty. 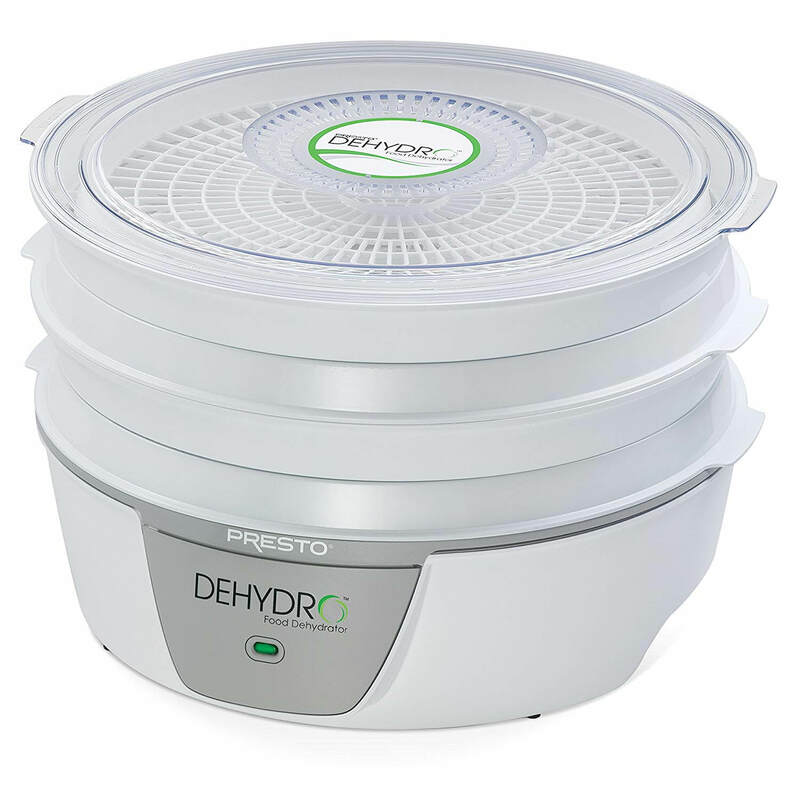 The Presto 06300 Dehydro food dehydrator has four drying trays and operates at a temperature of 165°F, which although ideal for meat, may not be suitable when drying foods such as herbs which are better at lower temperatures. There is no need to rotate trays. This is a 600 watts model with a clear cover so that you can monitor drying. The cover and its trays are safe for dishwasher cleaning. It does not have a timer. It comes with a one year warranty and you can buy extra trays to expand it up to eight, as well as accessories such as mesh screens, fruit roll sheets and jerky kits from the manufacturer. 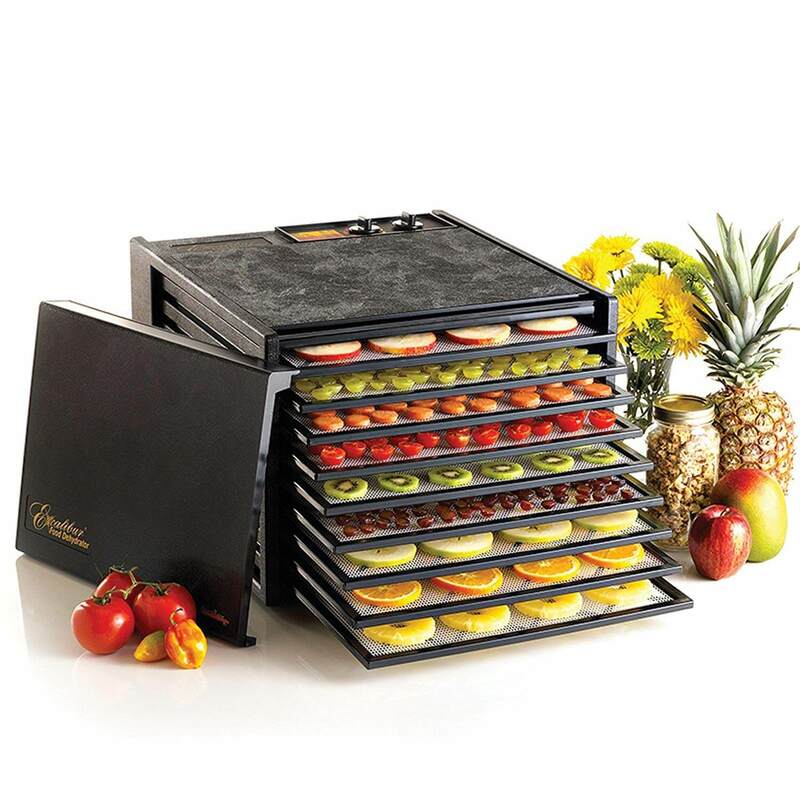 The Excalibur 3926TB nine tray electric food dehydrator provides 15 sq. ft. of even drying space. The thermostat is adjustable between 105°F and 165°F – a range that is low enough to preserve the active enzymes in fruit and vegetables and high enough to meet safety standards for dehydrating meat for jerky. Made in the US, it also has a 7" fan for better air circulation, a 26 hour timer and a flexible poly-screen tray insert to minimize the risk of foods sticking. The trays are BPA-free and there is no need to rotate them when in use. It comes with a limited warranty for up to ten years. 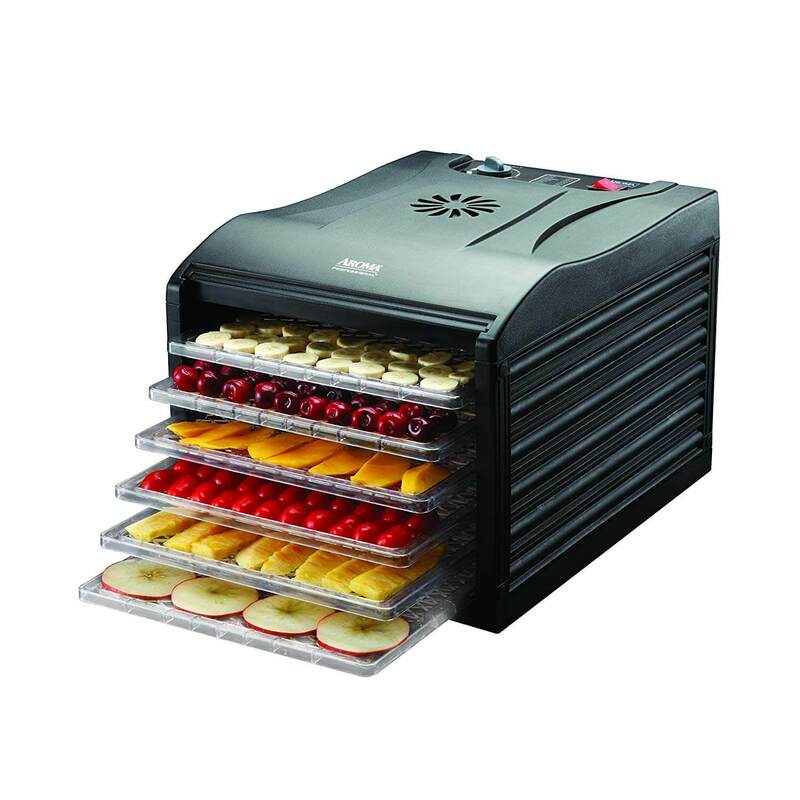 The Presto 06301 Dehydro food dehydrator is 750 watts, has six trays and a temperature range of 90°F and 165°F. The fan and heater are bottom mounted for optimum drying and you do not need to rotate the trays. It has a digital 48 hour timer and an auto shut-off function. When not in use, you can nest the drying trays nest and store the cord in the base to reduce its storage space by 43%. The trays and cover are dishwasher safe and this dehydrator comes with a one year warranty. It comes with two mesh screens and two fruit roll sheets. You can buy more accessories and up to another six trays from the manufacturer. The 1000 watts NESCO FD-1040 Gardenmaster food dehydrator has a top mounted fan to prevent any liquids from dripping into the heating chamber. 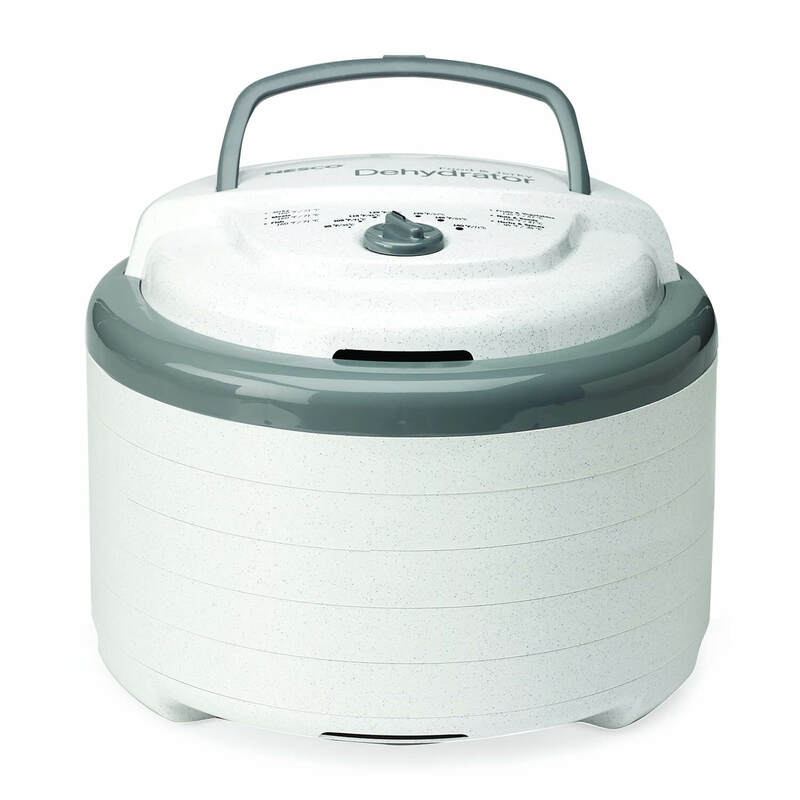 As a higher powered dehydrator, it can dry foods out faster than lower powered models. It comes with four trays, each supplying 1 sq. ft. of drying space, however, you can buy more trays from the manufacturer to expand it up to 20 sq. ft. of drying space. It has a quiet 2400 RPM motor and a 4½" fan. The temperature range is fully adjustable between 90°F and 160°F and the timer can be set for up to 48 hours. It comes with a flexible screen for drying smaller items and no-spill fruit roll sheet – suitable for semi-liquids. No tray rotation is necessary. Any plastics that touch the food are BPA-free. The Excalibur 2900ECB-9 is a 400 watts dehydrator with 15 sq. ft. of even drying space over nine trays which do not need rotating. Its accurate temperature range of between 105°F and 165°F is manually adjustable. There is no timer on this dehydrator and its trays are not suitable for cleaning in the dishwasher. This product comes with a five year limited warranty. 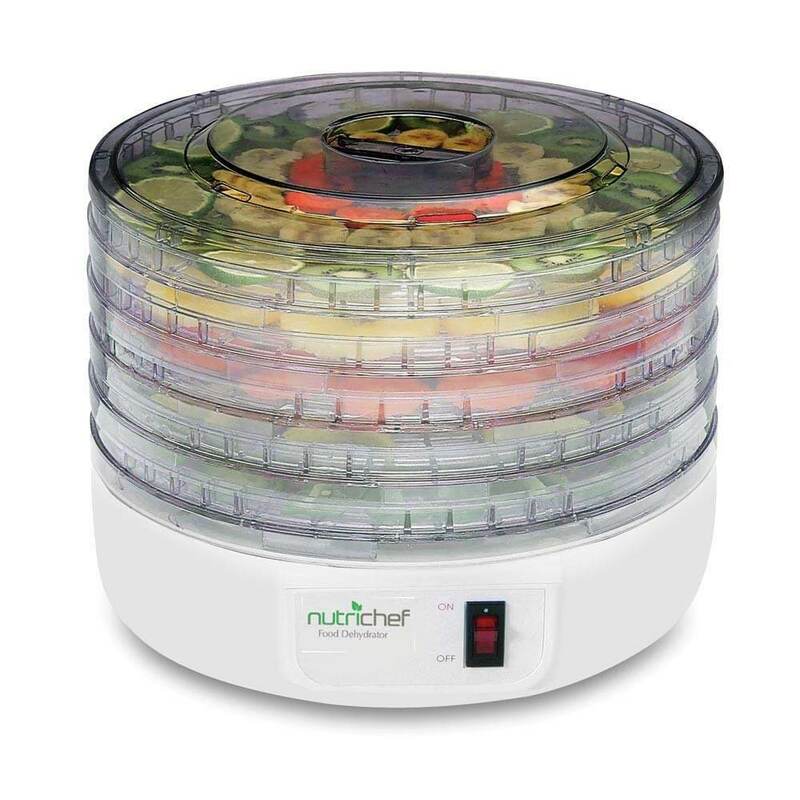 The white multi-tier 250 watts NutriChef PKFD 12 food dehydrator has five removable food trays that you can use to dry food without using the dehydrator. The shelves are a more fragile type of plastic, so you will need to take care when handling and cleaning to minimize risk of cracks. When dehydrating, it retains 97% of vitamins and minerals. It has one-touch operation and the temperature goes up to 180°F, although there is no option for manual temperature control on this model. The trays are BPA free and suitable for cleaning in the dishwasher. It has a one-year manufacturer’s warranty. Offering six BPA-free drying trays with an approximate 1.2 sq. 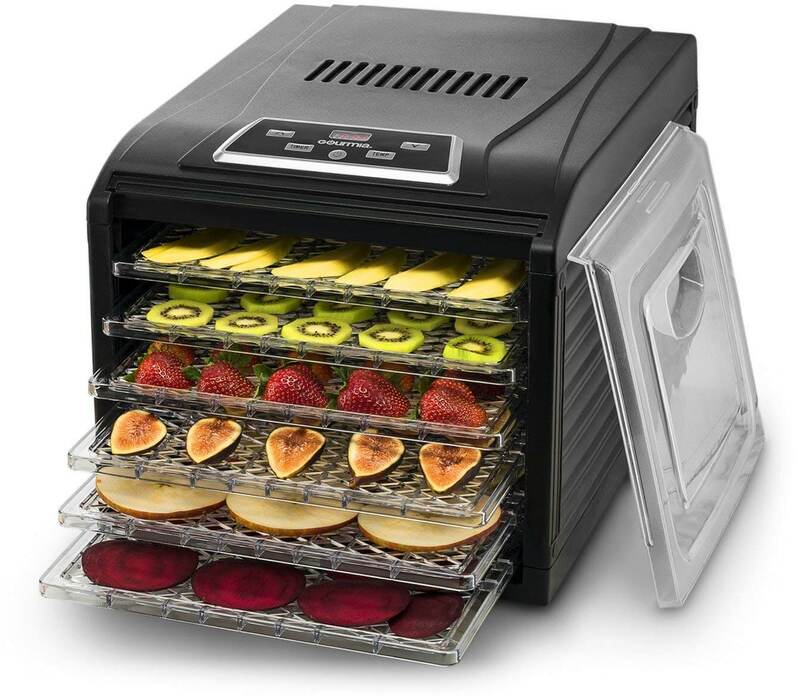 ft. of drying space on each, the L’Equip 528 six tray food dehydrator can extend up to 24 sq. ft. of drying space by buying extra trays. It also comes with six mesh screens and two fruit leather trays. 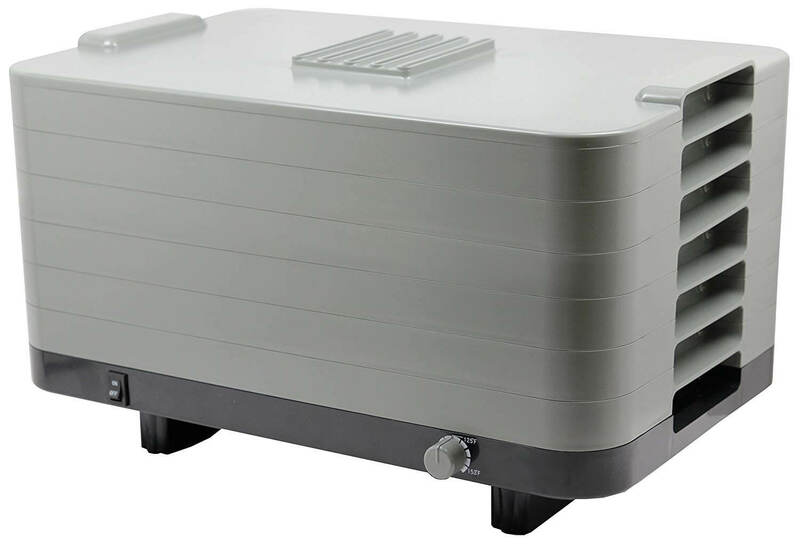 Its solid state variable temperature control gives a range of between 95°F and 158°F and its design allows consistent air distribution during drying, although there is no timer on this model. It is a 530 watts dehydrator that comes with a ten year warranty. 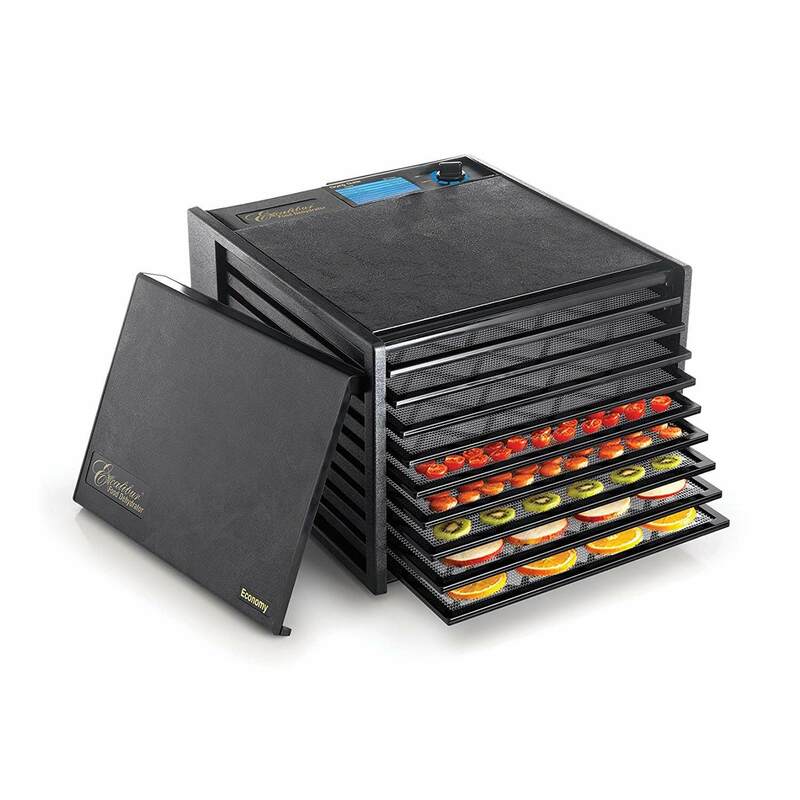 The black Aroma Housewares professional six tray dehydrator has an adjustable temperature range of between 95°F and 155°F and its fan is designed to give even drying. Each of the BPA-free trays takes up to 1lb of food – giving an overall 4 quart capacity. This is a 400 watts dehydrator and there is no need for trays to be rotated as the air flow circulates. You may find that with use, and particularly at higher temperatures, that the plastic trays may become more brittle, so you may want to handle with a little more care. Has six trays, with each tray sized at 11" by 12"
With six trays, the 480 watts Gourmia GFD1650 food dehydrator has a 19½ hour timer and a temperature range of 95°F to 158°F which you can also customize. It also has an auto shut-off function and a transparent door for easy monitoring of foods. It also comes with a drip tray and fruit leather sheet. The manufacturer provides a one-year limited warranty and this dehydrator is ETL certified and is free from BPA. Dehydration is an old method for preserving food; dehydrated food is lighter in weight and volume, which makes it easier to store. Dehydrated foods are easy to cook with, you can often just throw them into the pan without reconstituting them first, but if you need to, then a quick soak of 15 minutes or so in water will usually restore them. Many types of dehydrated foods also offer healthy low fat snacks for the whole family and are ideal for camping and other outdoor activities. Dehydrating is also a terrific way to use up the last of your fruit and vegetable crops, or even buy local crops when in season and dehydrate for the off-season. An electric food dehydrator uses heat and a fan to move hot air around the appliance, reducing the water content of the food over a low temperature and a long time. Once water is removed from food, it cannot spoil as easily or neither can contaminants such as bacteria and molds grow. Dehydrated food keeps most of its vitamins and minerals; unlike the food that you cook which can lose a fair chunk of its nutritional profile. Although much of the nutrition does stay in dried foods, when compared with fresh foods, there is a loss of vitamins such as B and C as these are water-soluble and sensitive to heat. The temperature you need and how long it will take to dehydrate will depend on what you are dehydrating and your model of dehydrator - the manufacturer will usually supply guidelines with their product. Dehydrating times can vary as much as 26 hours, depending on what type of food is dehydrating, how full the dehydrator is and the external humidity. Because humidity does affect dehydrating times, you may want to put the dehydrator in a warm and dry place away from any windows or vents. Both dehydrating methods dry food out in the same way. However, the constant lower temperature in an oven can be more difficult to maintain as ovens are designed to work better at higher temperatures. This means that the oven door may need keeping open to keep the temperature down, something that can make the kitchen even more unpleasant during summer. Because air needs to move around the food, a fan oven is the most effective; if it is not a fan oven, then the door also needs opening often to let excess moisture out. Ovens tend to take longer to dry food out than a dehydrator and they also use a lot more energy. Orchard fruits, berries, bananas and even melons will dehydrate. You can puree fruit, spread it on trays and dehydrate it to fruit leather. You can eat dried fruits as they are, add to salads, trail mix, granola or reconstitute and use in desserts such as cobblers. Apart from onions, mushrooms and tomatoes, vegetables will need blanching before dehydrating. Carrots, potatoes, squash, peas, celery, broccoli, pumpkin and beets are just some of the other vegetables that dehydrate well. You can either eat them as chips or put them into stews or soups. You can even dehydrate your stews to take up less room when on the trail! Dehydrated yoghurt is also a favorite for many as well as the ever-popular jerky. Foods not suitable for home dehydration include many dairy products such as whole eggs (egg blend should dehydrate at 160°F upwards), butter, cheese and milk. Olives and avocados are also unsuitable for dehydrating and although nuts can be dehydrated, they do have a short shelf live. Foods need to be prepared properly before dehydrating. You should wear gloves during preparation to help stop any contaminants from your hands getting on to the food. Fresh foods should be ripe as they will not ripen in a dehydrator. Fresh foods need checking for any sign of mold – anything starting to go moldy should not be dehydrated and any damaged portions will need cutting off along with any seeds and cores. With fresh fruits also keep an eye out for broken skins as this may mean insects or larvae inside the fruit. Cutting food into uniform halves, strips or slices of between ⅛" and ¼" will help them dry better. Also, do dehydrate foods together that all need the same length of dehydrating time and avoid any strong mixes of flavors, such as garlic and banana! It is advisable to blanch vegetables in steam or hot water, as if preparing them for freezing. Once drained well they can then be spread out on the drying trays and set to dehydrate. Vegetables, like fruits usually dehydrate at a temperature of between 130°F and 140°F. You can soak vegetables and fruit in a solution of citric acid to reduce the risk of foodborne pathogens and inhibit any enzymic changes – these are what cause foods to spoil. A pre-treatment dip of ½ teaspoon or ascorbic acid and a quart of water or similar for fruits may also be sensible. 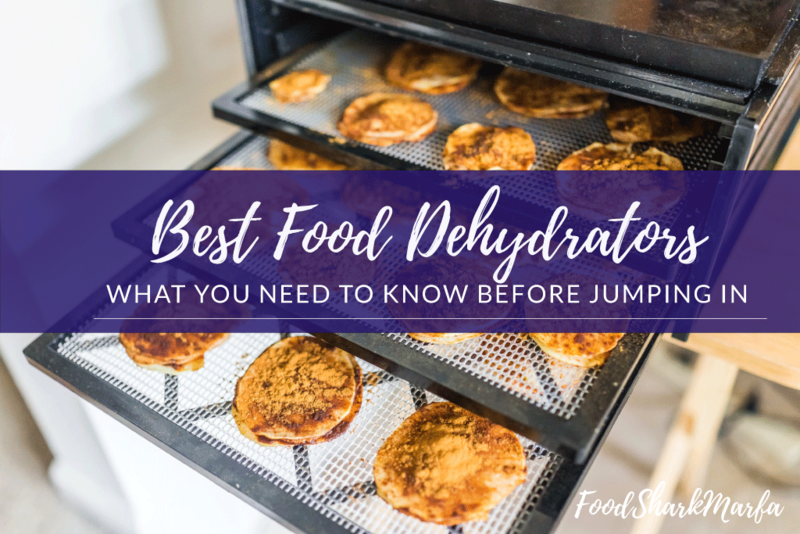 Foods need to be 95% or more dehydrated when the process is complete. If you check them and they feel sticky, soft or spongy then they will need longer. Foods that break, are hard or crunchy are usually done; vegetables will feel brittle while fruits feel more like leather. Seeds and nuts always need to be completely dry, otherwise they will quickly go rancid and moldy when stored. Once foods are dehydrated and cool they can be conditioned by storing in a container at room temperature for a few days and regularly shaking them up. This will help even out the residual moisture. If any condensation does appear, you can return to the dehydrator for further drying. You can then put dried foods into sealed containers such as mason jars or airtight freezer bags and store in a dark place at below 60°F. Do check and shake the jars or bags after a few days, and then a couple of weeks later, for any sign of moisture or mold. If moisture does appear, you can re-dehydrate. If you dehydrate a lot of food, or are planning to, then you may want to invest in a vacuum home sealer as this can extend the shelf life of dried foods by quite a long time. Otherwise, dried foods will keep for between two and 12 months, depending on what they are and how you store them. Dried vegetables and meats store for up to six months – although jerky should be stored in the freezer, otherwise it will only keep for one to two months. Dried herbs and fruits usually keep for up to 12 months. Although it is not necessary to store dried foods, except for jerky, in the refrigerator or freezer, doing so will extend their shelf life, especially if you live in a high humidity environment. When you open dried foods to use them, always do a quick check for anything with mold and if there is mold, or anything else that you are unsure of, then just dispose of it. Any meat or poultry is suitable for jerky, but beef is usually the most popular choice. Whichever meat is used, it should always be lean cuts in excellent condition. The meat should stay in a refrigerator or freezer, even if marinating, until ready to dehydrate. Trichinella is found in pigs and although dehydrating pork will not kill the larvae, freezing pork before dehydrating will kill it. Trichinella is also in carnivores and wild boar but freezing these types of meat will not kill the larvae. Risk can be minimized by only using meat from a safe source, or if game, ensuring it is dressed properly. If there is any doubt about it, do not use it for jerky – cook it another way at a high and safe temperature. Like with any fresh meat preparation, it is also important to sanitize your equipment before and after making jerky. When jerky is dehydrated, bacteria can survive temperatures of between 130°F and 140°F in a dehydrator. The USDA currently recommend that meat is heated to 160°F and poultry to 165°F before it is dehydrated. This allows pathogens such as Salmonella and E. coli O157:H7 to be destroyed through wet heat, especially if the dehydrator does not reach these safe temperatures. Also, when bacteria are dried out, they become more resistant to heat and can survive dehydration, which means that they could can still cause foodborne illness when the jerky is eaten. Once the meat heats to 160°F or 165°F, then the dehydrator should keep a constant temperature of between 130°F and 140°F to not only ensure meat dries out quickly before it spoils but to also make sure enough water is removed to stop pathogens from growing. If oil accumulates on the top of the jerky, this will need removing during drying. This can be done by patting with a clean paper towel. If the oil is left on, it means that jerky will go off sooner even when properly dehydrated. 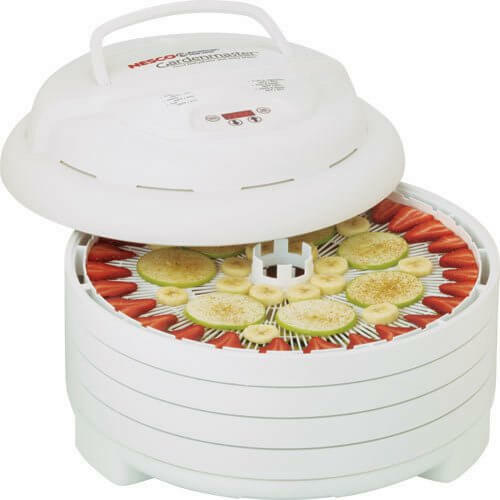 The food dehydrator is ideal for making jerky, dried fruits and vegetables or other foods, whether for eating in the home or when out and about. A food dehydrator has several advantages over the older-fashioned oven method and depending on what style of food dehydrator you choose; its uses may only be limited by your food imagination. Whichever will be the best food dehydrator for you, a large variable temperature family sized model or a smaller single temperature design, we trust that the information provided in this article will go some way in helping you in making the right choice for you and your family.